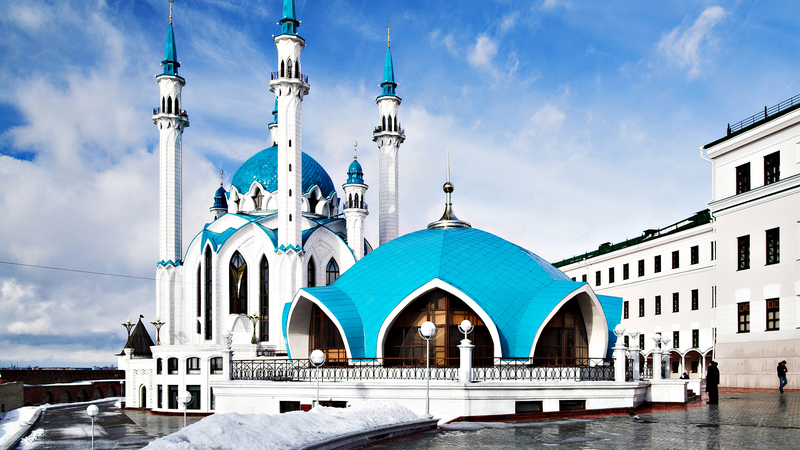 The tour includes the most famous sights of Kazan: Kazan Kremlin, Old Tatar Sloboda, a Tatar village Tugan Avylym in the city center, the oldest mosque Marjani, Kamal theatre, the mysterious lake Kaban, Kazan Millennium Park, Liberty Square, the Kazan University, Kazanka river embankment, offering unique views of the coast of the Kazan Riviera, Peter and Paul Cathedral, the miraculous icon of the Mother of God of Kazan. You will see the Spassky tower, leaning tower Syuyumbike, government buildings, visit the Kul-Sharif Mosque and the Cathedral of the Annunciation. You will be delighted with the beauty of the architecture and fascinated by fascinating stories that will tell you professional tour guide. The route will stop for a beautiful memorable photographs. You can visit Kazan malls, restaurants, theatres, exhibitions, museums etc.